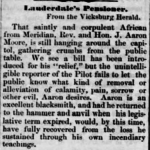 Blacksmith and minister. 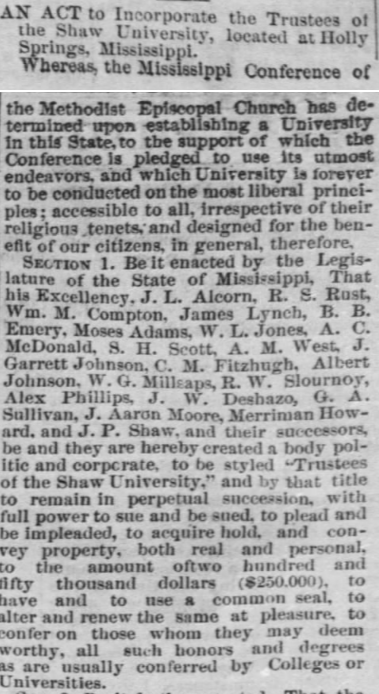 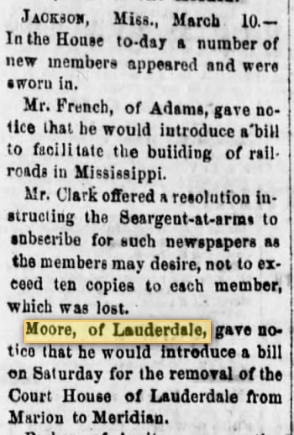 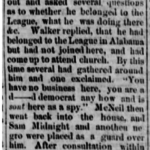 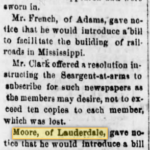 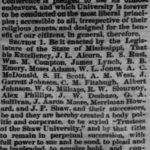 Delegate to the 1868 constitutional convention. 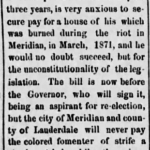 Served on the Meridian board of aldermen. 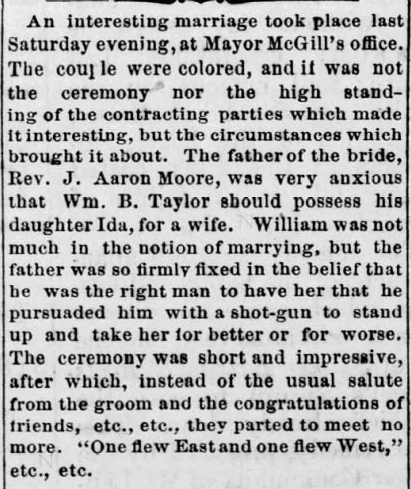 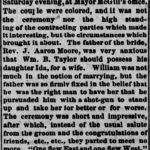 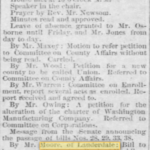 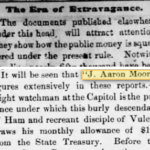 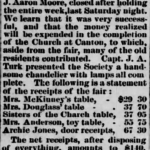 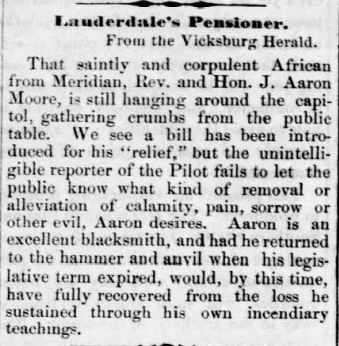 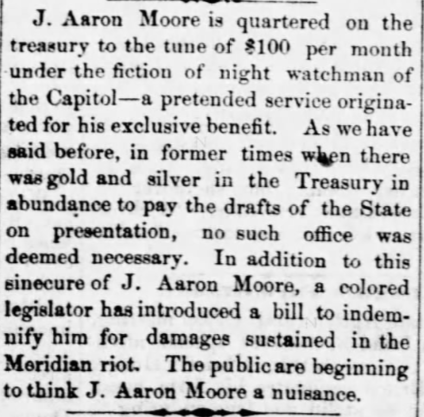 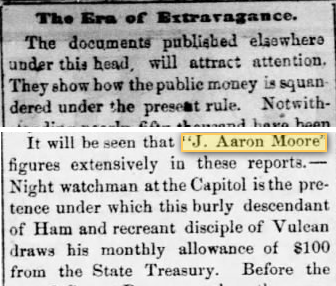 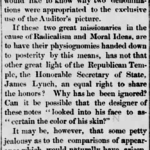 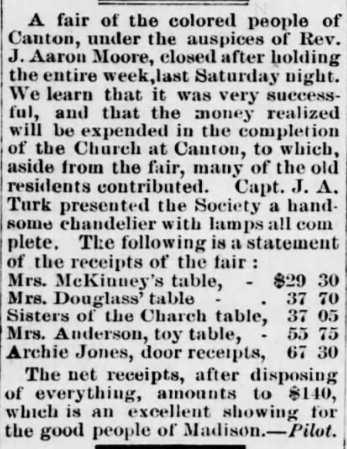 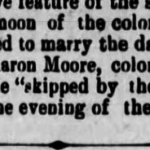 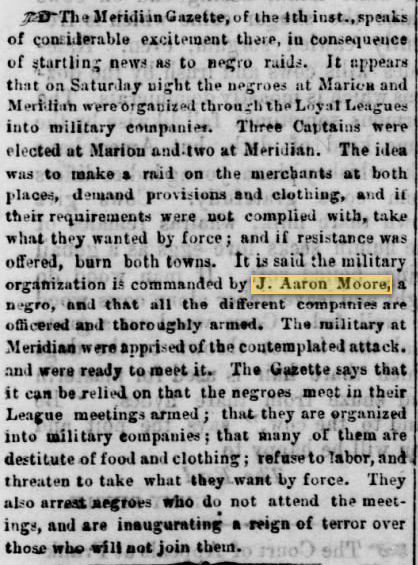 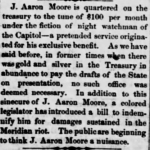 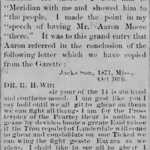 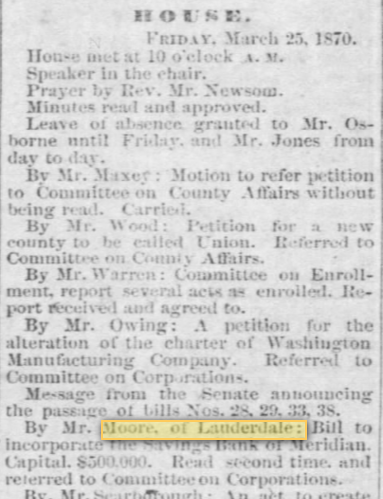 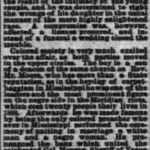 Moore performed the much-publicized marriage ceremony between the white “carpetbagger” Albert T. Morgan and Carrie V. Highgate, an African American woman, in 1870. 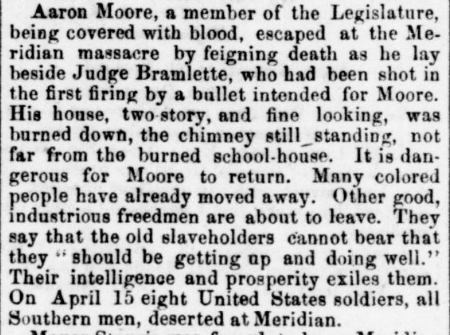 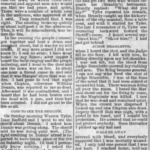 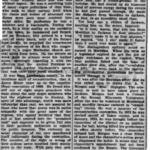 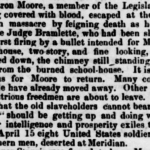 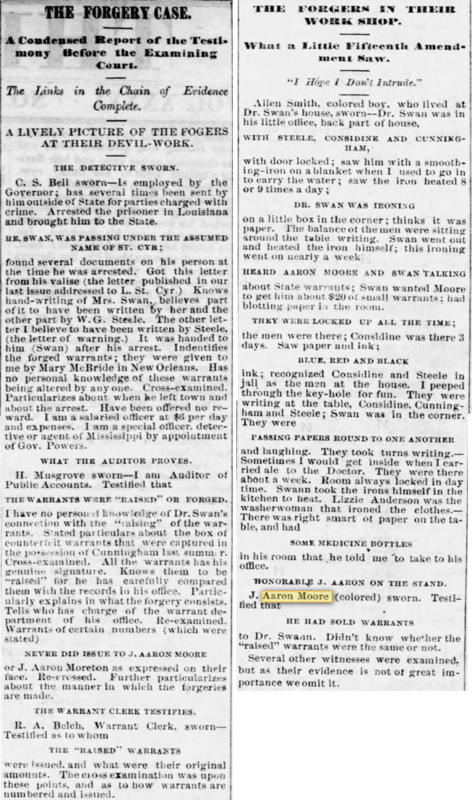 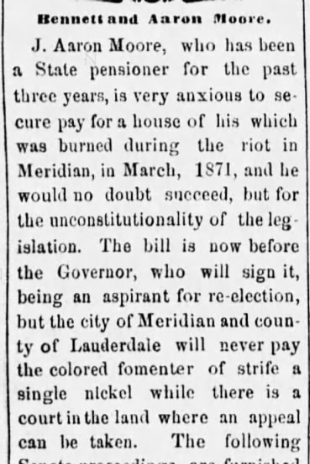 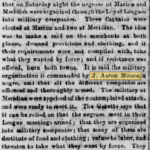 In March of 1871, he was accused of being involved with the Meridian fires and the shooting death of a Judge Bramlette, and he had to escape to Jackson. 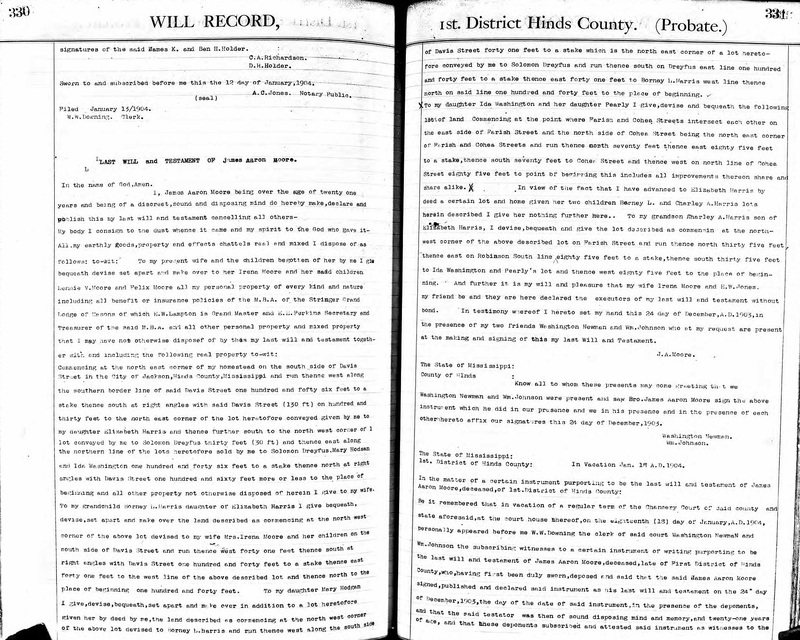 Listed on the 1870 census in Lauderdale County with wife Mary and children, and in Hinds County in 1880. 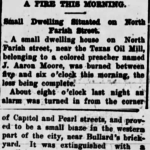 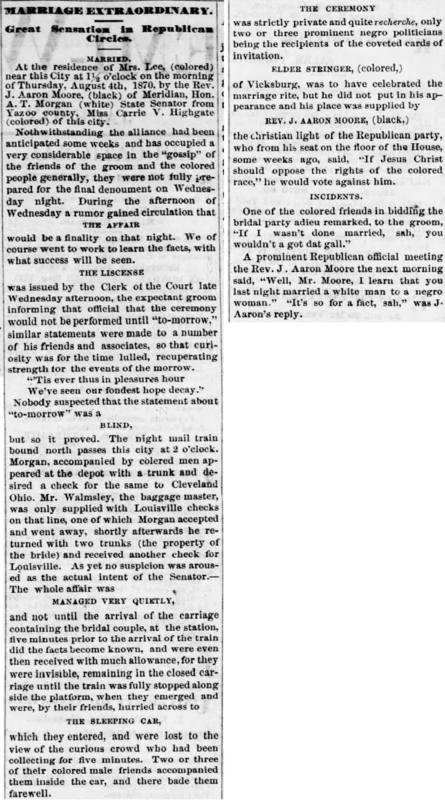 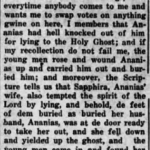 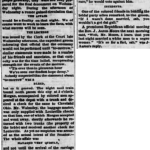 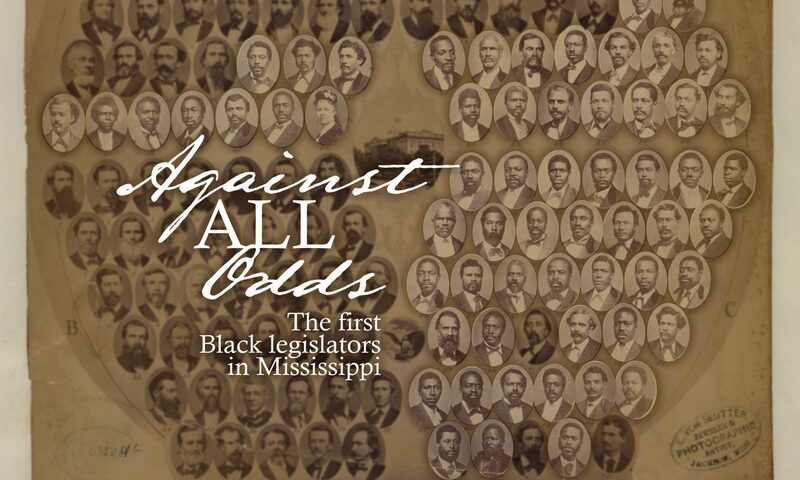 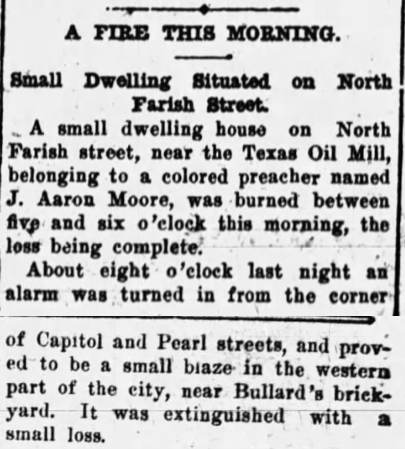 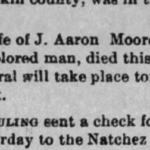 In 1900, he was in Hinds County with a second wife, Irena, and children. 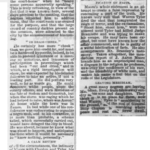 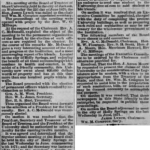 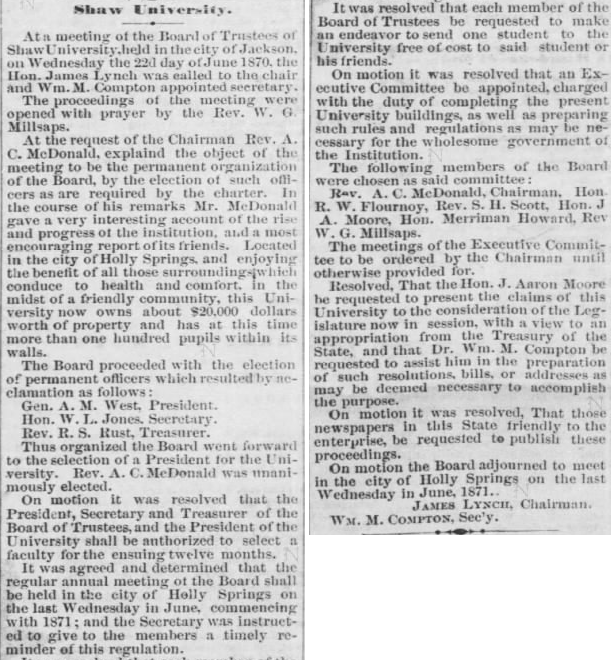 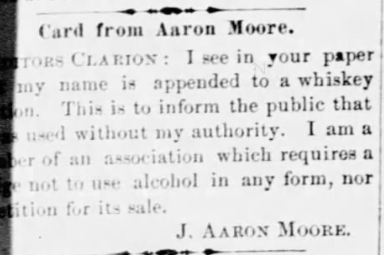 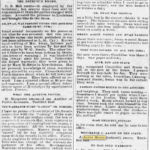 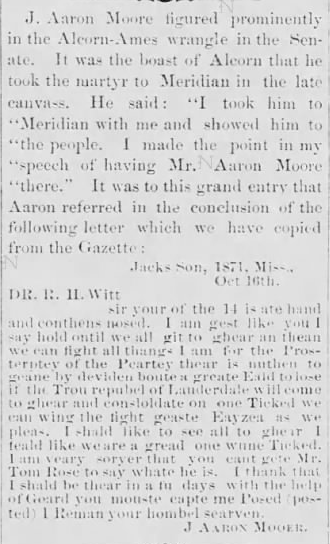 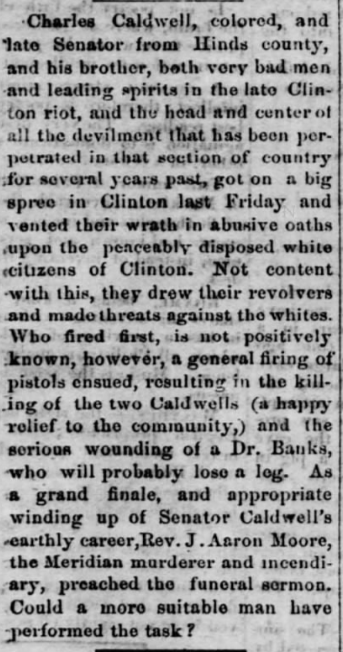 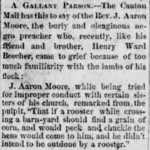 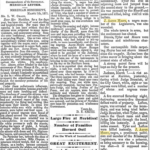 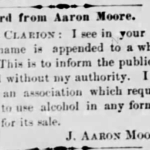 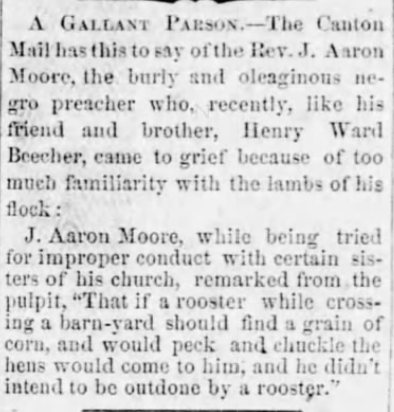 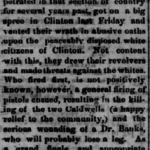 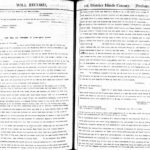 His will was in probate in January 1904.